The hair transplant industry is constantly looking for new and innovative ways to provide solutions for people with hair loss. Dr. Brett Bolton launched his industry changing MAXHARVEST™ procedure a few years back and his business has literally exploded. “Over the last 17 years, my patients have always been happy with their procedures, and that is what is most important to me,” explained Dr. Bolton. “However, the MAXHARVEST™ hair transplant has exceeded even my own expectations,” he added. 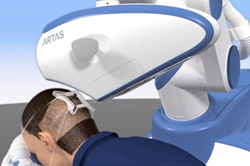 Restoration Robotics, Inc., a robotic surgical company dedicated to transforming the field of hair restoration, launches The ARTAS® Robotic System; the first and only computer-assisted, physician-controlled technology to selectively harvest follicular units directly from the scalp. More than 35 million men in the United States experience hair loss. For these individuals, hair loss can impact confidence while wreaking havoc on self-esteem. The ARTAS Robotic System was created after nearly a decade of research and development and has a proven track record in successfully treating men. From the heart of Silicon Valley, the ARTAS Robotic Procedure is able to attract patients who previously may never have considered a hair transplant. Before ARTAS, this group shied away due to concerns regarding a long downtime, disfiguring linear scars, unnatural results or fear of pain. Hair restoration treatments are introduced frequently but in amongst the persuasive marketing and over-promising, it can be a challenge for people suffering from hair loss to be confident they have found a genuine treatment. There have, however, been several reasonably recent hair restoration treatments that are backed by strong science, that are making a difference to people suffering from hair loss. To explain & review these treatments in detail, host of Inside Cosmetic Surgery Today, Edmonton Cosmetic Dermatologist Dr Barry Lycka welcomes a popular repeat guest, leading hair restoration physician Dr Alan Bauman from his practise in Boca Raton, Florida. 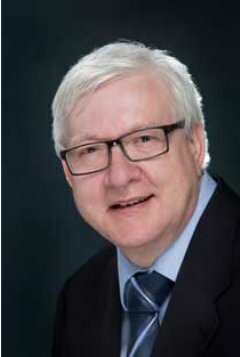 In this in-depth interview, Dr Lycka & Dr Bauman begin by discussing the impact of introducing Platelet Rich Plasma into hair restoration treatments, particularly when performing a hair transplantation or when encouraging thin, weak, & wispy hair to grow thicker and stronger. 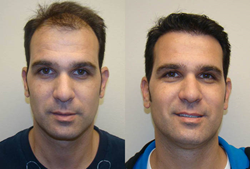 Doctor Parsa Mohebi, founder of US Hair Restoration with multiple Hair Transplant Centers in California is dedicated to provide the most recent technology of hair restoration in his Southern California Offices. 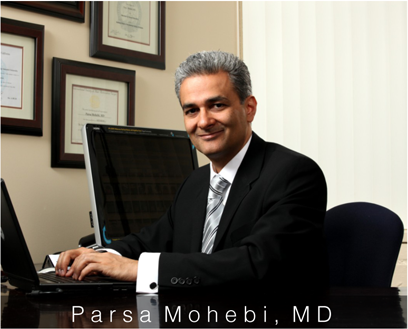 Parsa Mohebi, MD established the first two offices of US Hair Restoration in Los Angeles and Beverly Hills in 2008. Dr. Mohebi explained the importance of establishing a new Orange County (OC) hair transplant center, “Many of the patients of US Hair Restoration are traveling over 50 miles to reach one of our locations; we are establishing this new office in Orange County in order to provide better access to those in this area. The Sloane Clinic™, a leading chain of medical aesthetic clinics in Singapore and Malaysia providing advanced aesthetic dermatology and cosmetic solutions now adds hair restoration therapies to its impressive repertoire, offering patients effective surgical and non-surgical hair restoration procedures specially designed to regain a full head of natural looking hair. The effects of full or partial hair loss due to the typical genetic “pattern baldness” or other factors can not only greatly affect a person’s physical attractiveness but also his self-esteem. Hair transplantation has long been an option to restore receding hair lines. The solution to the problem of hair loss has got an all-new address at Tricity Institute of Plastic Surgery. Set up by the three best cosmetic surgeons in India, the cosmetic surgery clinic has been hailed as being one of the best hair transplant clinics in Chandigarh. 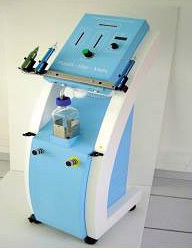 PRP is “Platelet Rich Plasm,” a portion of whole blood that is separated from the red blood cells through centrifuging. It should contain concentrations of platelets that are at least 4 times that of what is found in whole blood to get the maximum benefits. Its use in medical conditions started in the 1990′s mainly by Orthopedic Surgeons, Dentists, and Oral Surgeons, but has recently been expanded to the Cosmetic Surgery arena. With typical forms of androgenic alopecia in men, baldness occurs progressively through distinct phases. This usually involves the depletion of the hairline , temples, top section and vertex and is illustrated in the images of the Hamilton Norwood scale. 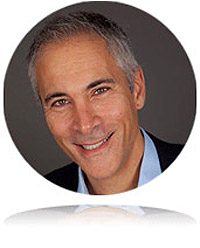 Based on patient statistics from HairSite, Dr. Jeffrey Epstein of the Foundation for Hair Restoration has been verified as the #1 top ranked hair transplant surgeon in Miami, Florida and New York for the year 2013. Some of the best awards physicians receive are those merited based on patient satisfaction. Dr. Epstein’s hair transplant clinic has been given the highest honor from HairSite because of the skill and high-quality work appreciated by men and women whom he has treated. HairSite is an informative website dedicated to hair loss, female hair loss, hair transplants, hair replacement, hair multiplication, hair loss medications, natural remedies, and other related topics. Patients interested in hair loss treatments can find a doctor on the site and post their results. 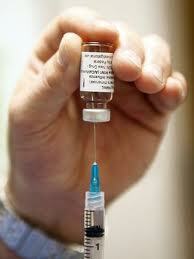 Doctors may also use the site to display positive patient results. For the first time, low level laser therapy (LLLT) devices prove successful in stimulating new hair growth in men and women who suffer with androgenetic alopecia, or pattern hair loss. In a clinical trial of 122 women and 103 men, participants saw an average increase of about 20 terminal hairs per square centimeter of scalp after using the HairMax LaserComb™ for just 26 weeks*. 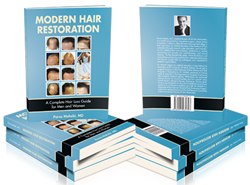 Dr. Parsa Mohebi described the latest advances in modern hair restoration techniques in his book, “Modern Hair Restoration,” which included new breakthroughs in FUE and FUT hair transplantation. In addition to these advanced surgical procedures, the book offered in depth coverage on new medical treatments used to cure hair loss, and non-invasive treatments such as Scalp MicroPigmentation, which uses specialized pigments that mimics the look of real hair follicles.